With a production capacity of 150 kW, the photovoltaic power plant, for which Cronimet Mining Power Solution (GmbH) has just started construction, is located in Chobe, Namibia, on the border between Namibia and Botswana. The energy produced will be destined for Chobe Water Villas, a hotel group appreciated by Western tourists. In Chobé, O and L Leisure owns several hotel establishments that rent rooms to western tourists who come to observe elephants in the Kasika reserve. Very famous, these luxurious hotels called Chobe Water Villas only work with generators… O and L Leisure has decided to turn to a much more sustainable source of energy by investing in the construction of a photovoltaic power plant with a capacity of 150 kW. The work was entrusted to the German company Cronimet Mining Power Solution (GmbH) which started work this week. According to Renewable Energy magazine, the photovoltaic plant will be combined with an efficient and fully automated energy storage system, controlled by Cronimet’s technical department in Germany. It will also enable the Kasika Reserve hut in the Namibian region of Zambezi to cover the entire daytime electricity demand and further reduce dependence on generators at night. Once completed, the plant, coupled with an energy storage system, will provide Chobe Water Villas with clean energy at a competitive price. Delivery is scheduled for August 2018. Cronimet Mining Power Solution is a renewable energy company based in Unterhaching, near Munich, Bavaria. It has chosen the African continent as its preferred area where it excels in the construction of photovoltaic power plants, particularly for hotel establishments. It also manages energy and supply contracts. The company built the solar power plant at Mokuti Etosha Lodge in northern Namibia. 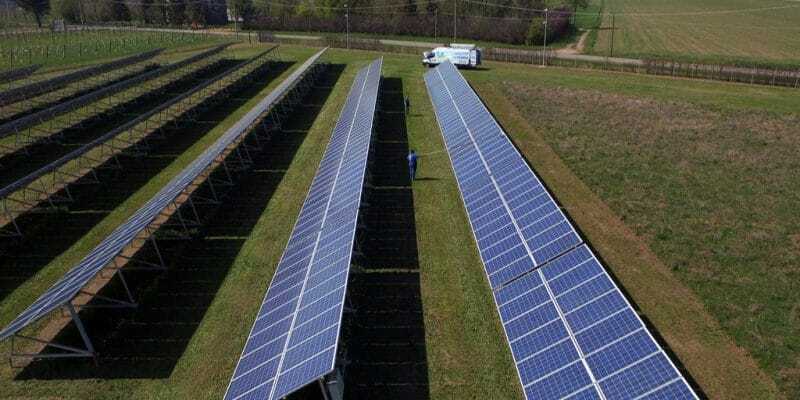 It has a production capacity of 470 kW, or more than 1150 MW per year. It is equipped with a horizontal tracking system, which follows the movement of the sun on its daily trajectory from east to west, in order to maximise output power. The company also built the photovoltaic plant at Midgard Country Lodge in central Namibia. The 128 kW photovoltaic plant was built for O & L Energy, an energy services company. This plant was partly subsidised by the German Investment and Development Organisation (DEG).